One more proactive year is reaching its finish line. It brought a lot – new partnerships and locations, new technologies and events, as well as new challenges, that all in all made us stronger. And we need to confess that behind all achievements there stand our partners and customers, who inspire us to create more powerful and advanced product! Thank You! So let’s look back on the outgoing year and sum up the brightest moments and results. During the year we announced 14 new partnerships with hosting providers and marked new spots of our presence on a world map. Yoda 4.9.5 gave a set of improvements in UI and API, fixed 167 bugs, increased data storage, and DNS lookups performance added Ubuntu support for Elastic VPS, upgraded versions of stacks, OS, and engines. 5th Element provided support of native and managed Docker containers within Jelastic platform, letting developers deploy their containerized application to Docker Swarm clusters or standalone Docker Engine. Stark 5.1/5.2 brought updates in the platform architecture as infrastructure components were re-packaged using Docker standard. This internal change helped to accelerate time to market of demanded features, eased the process of platform installation and upgrades to new versions, as well as improved the efficiency of server resource utilization. Cerebro 5.3 launched with Public IPv6 and multiple IPs support, letting users incorporate up-to-date IP technologies into their applications, providing more freedom in building microservice and monolithic architectures. Cloud Scripting – for automating frequent tasks, complex CI/CD flows and clustering configurations. An enhanced module for WHMCS billing integration available in the WHMCS and ModulesGarden Marketplaces for free download. Java EE 8, Java SE 9 support inside containers, with the possibility to automatically install the latest GlassFish 5, Payara 5, and Tomcat 9 within minutes. Participating at WHD.global, we met service providers from all over the world, highlighted the core concepts on PaaS market, and discussed possible ways to increase the margin of hosting business from the main stage and during networking events. What is more, we were excited to gather our partners during Jelastic private meeting, discussing crucial points of the further product development, the end-users and partners needs, as well as finding out the required actions for the business growth. In 2018, we are going to repeat a success of such dedicated partner meeting. It will be held the 14th of March during the same conference (now called CloudFest). More plans will be shared soon! Jelastic keeps working closely with Java community and this year we had a set of exciting activities in this direction. Java Tour has already become the annual tradition for us and this time it reached the USA. MassiveGRID (Jelastic hosting partner), Oracle, SouJava and Tomitribe joined forces to organize this tour on a high level with informative topics and interesting speakers – Bruno Souza, Otavio Santana, Yolande Poirier, Ean Schuessler, and Leonardo Lima. We drove across US cities, covering the hottest topics connected with Java EE, NoSQL, DevOps, Containers, Cloud Computing, Web Development, Java SE 9, Robotics and Internet of Things. Java is in our veins, that’s why we try to always participate in JavaOne. This year this conference got wide resonance: a lot of participants have been actively involved in the conference, talking about Java role in transforming the way people work and live in the digital era. Our CEO Ruslan Synytsky held the session on the decomposition process of legacy Java EE applications, that attracted the interest of many conference visitors and later has grown into the informal chatting and discussion at the developer lounge zone. Also, during a joint talk about moving Java EE projects to the cloud, Rodrigo Bortoloto showed a demo, running Java EE application in the Cloud with Jelastic PaaS, based on Payara installation sample. During JEEConf we presented how to configure and package clustered Payara Micro with load balancing, automatic scaling and dedicated storage for building cloud-native microservices. Of course, we could not miss the JavaDay Ukraine in November and participated there with the speech From VMs to Containers: Decompose and Migrate Old Legacy JavaEE Application. neen, our hosting partner from Italy, participated at Meet Magento, presenting high availability and performance of Magento 2.0 cluster in containers preconfigured for automated installation within Jelastic platform. 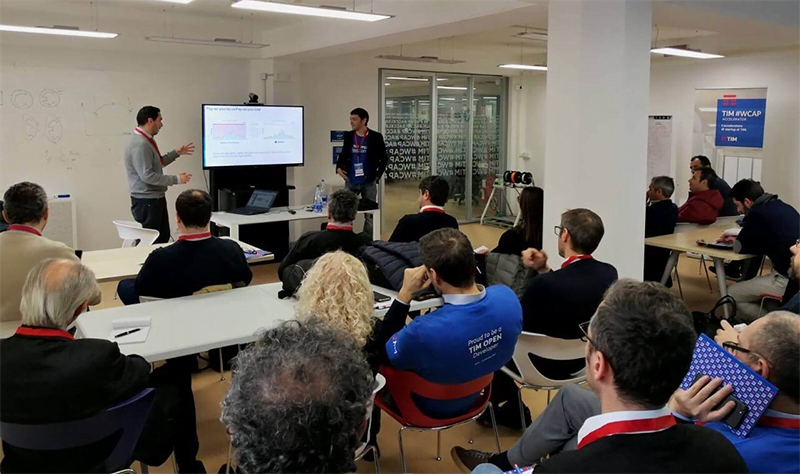 And just recently we visited Italy, participating in TIM Open event, organized by TelecomItalia for cloud adopters and discussing constantly growing PaaS & CaaS market as well as main players comparison. At DataCloud Europe Congress in Monaco together with Safozi (P4D) we presented the cloud hosting business in Africa: market specifics and ways to grow. In Cyprus, together with Scaleforce, we participated in PrimeTel Digital Transformation, discussing the most urgent challenges to achieve full cloud literacy in the enterprise world. 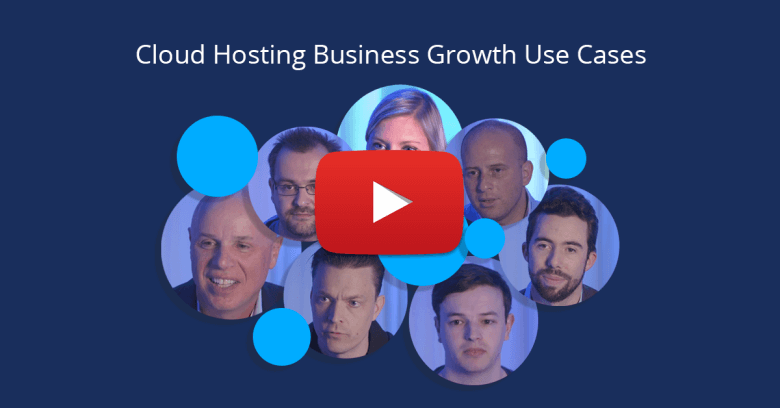 This year we prepared lots of videos, among which were interviews with cloud service providers, who share their experience in running hosting business, choosing technologies and business models to compete on the market, partnering with vendors of software and hardware, getting results locally and worldwide. 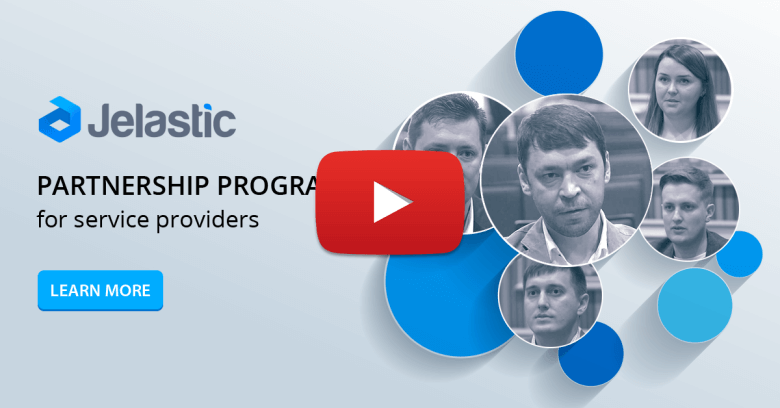 We also shared interviews with Jelastic key representatives, unveiling what are the main reasons for service providers to partner with Jelastic: what target audience it opens, how it helps to differentiate on the market, what partnership and go-to-market programs are offered, how the installation and support are performed, and other peculiarities. Let’s Make the Next Year Together! Jelastic wish you a great holiday season and prosperous next year with new plans and continuous success in all endeavors. Thank you for being with us!